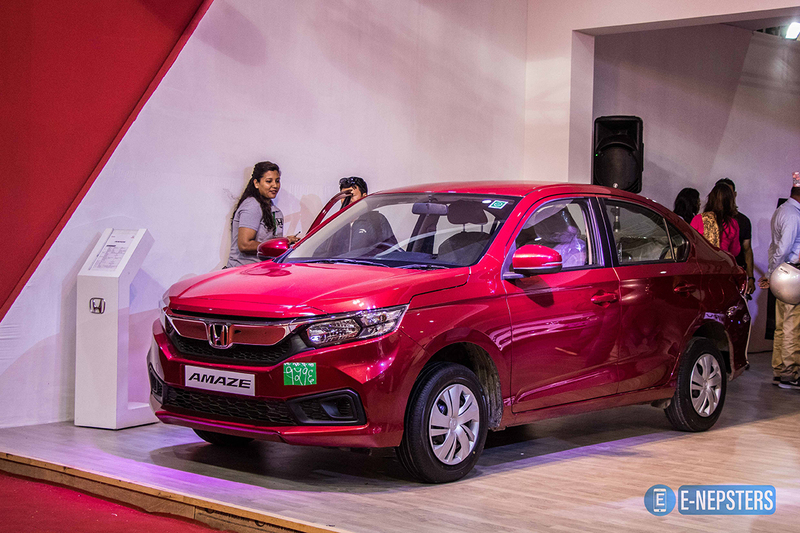 Honda has officially launched the new Amaze 2018 at NADA Auto Show 2018. The all-new Honda Amaze is bigger and better as opposed to the old Amaze. It gets the new proportion, as it is 5mm longer, 15 mm wider, and the extended wheelbase of 65mm which makes the Amaze quite bigger. 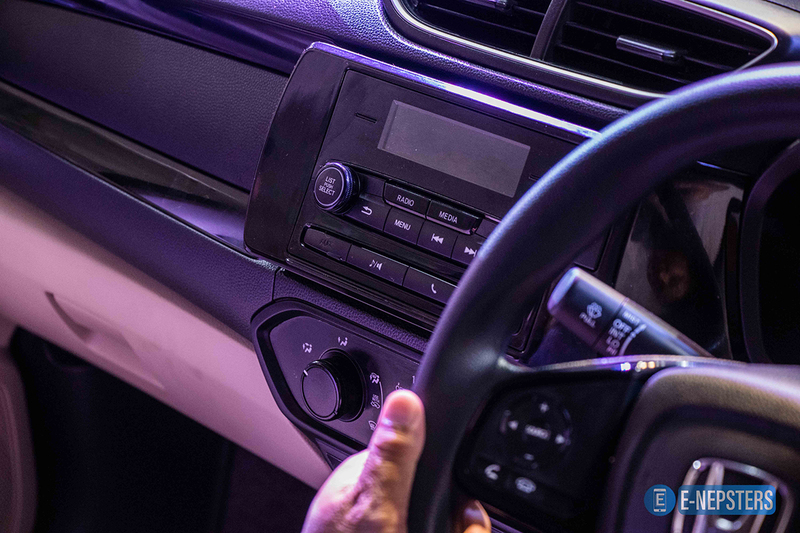 The Honda Amaze 2018 also hosts a new design. In has aggressive front and commanding shape that makes the car bold and solid. In the front, it gets the new chrome design which Honda calls “solid wing design” that makes the front look bold than ever. It also gets the LED DRLs but with the halogen light. On the side, it gets the strong shoulder line that runs from front to the end. And it stands on the 15″ newly design alloy wheels. The back of the car looks slightly flat as it is a sub-four-meter car but it is enhanced by the wraparound tail lamps. The interior of the car is spacious with the increase in the wheelbase and now feels more premiums with the new dual tone cabin. It features the advanced floating DIGIPAD 2.0 with Android Auto and Apple car play and the multi-function steering with paddle shift, voice command, automatic climate control, Push start button, audio, hands-free, and cruise control. On the back, it gets the huge 420L of boot space that talks about the practicality. The Honda Amaze 2018 comes in four variants: Diesel Manual, Diesel CVT, Petrol Manual, and Petrol CVT. However, for now, the company has only made petrol variants available in Nepal. 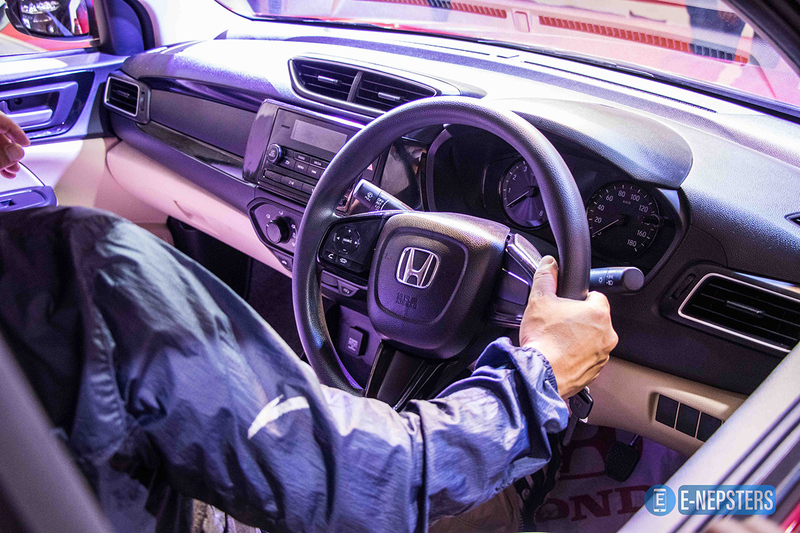 The petrol variants come with a 1.2L i-VTEC engine with an output of 90ps @ 6000 rpm. The diesel variant comes with a 1.5L i-DTEC engine with a max power of 100 ps @ 3600 rpm. Honda claims the average mileage of 19.5 kmpl on petrol variants and 27.4 kmpl on the diesel variants. The CVT are the automatic system that enhances the performance of the car along with the fuel efficiency. As for the safety, the car gets ABS with EBD, Dual airbags standard on all variants, standard ISO fix, and a rear parking camera.